Samsung found the right formula in the Galaxy S8+. It dialed in the exact amounts of high design, technical power, and quality build needed to deliver a near-perfect smartphone. The S8+'s flaws are so few and far between I can hardly bring myself to bother repeating them here because everything else is so darned good, though it perhaps has at least one compromise the S8 doesn't. The Infinity Display and the metal/glass chassis that embraces it are impressive beyond words. The oblong shape may require a short adjustment period, but I assure you you'll fall in love with the S8+, if not for its good looks then for its proven performance and winning personality. Call quality and data speeds are great, battery life is good, and other hardware facets do their jobs perfectly. Samsung's software can be overwrought at times. 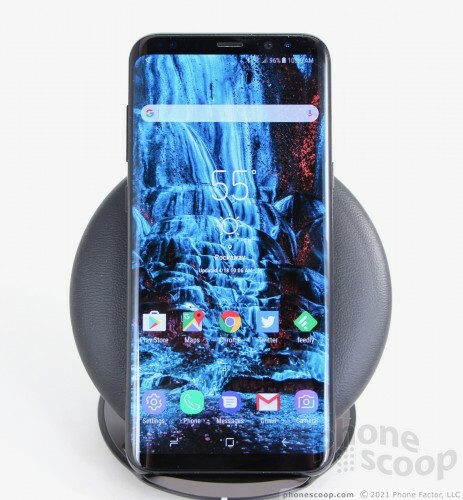 The S8+'s user interface, however, is among the most flexible, allowing you to assert your own creative proclivities when arranging apps, shortcuts, widgets, and all the miniscule tweaks that make this smartphone your smartphone. The camera app, in particular, is powerful and also sometimes fun. Most people will be pleased with the camera's above-average imaging results. There are two real black marks, as far as I can tell. The first is the fingerprint reader. It is the quickest way to unlock the S8+, but some may never adjust to the odd location. Worse, the larger footprint of the S8+ places the reader even further away from your finger. The second is Bixby. It's just not there, not in any meaningful way, and it leaves the phone's story incomplete at launch. The S8+ costs $850. That's $35.42 per month for 24 months on a carrier payment plan. It's worth every freaking penny. If you're ready to upgrade from an older Galaxy phone, the S8+ is The One you've been waiting for. Yes, it's that good. Go buy this phone now.